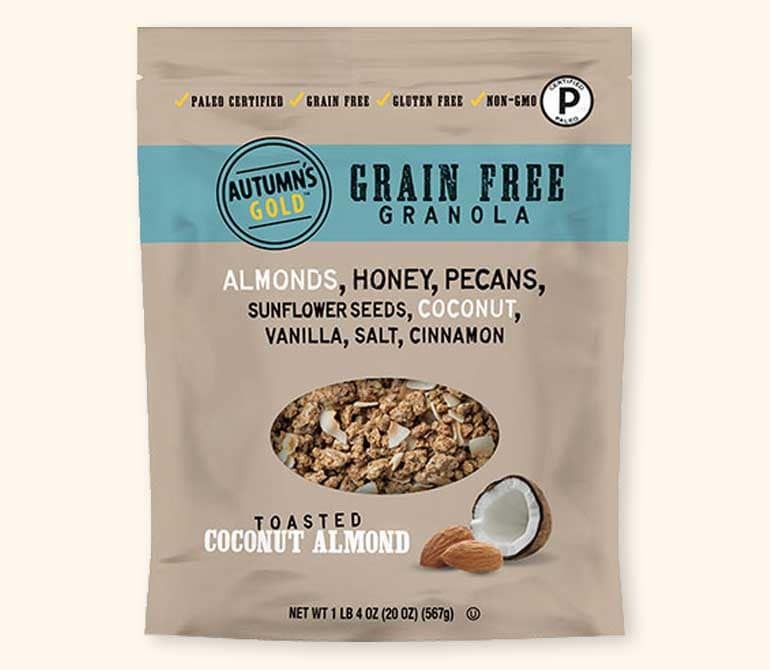 Almonds and sunflower seeds plucked from the earth, a touch of natural sweetness from honey, and sweet coconut flakes come together in our Grain Free Granola to give you a homemade granola taste and crunch you'll love. Starting with the goodness of almonds and sunflower seeds, we craft our Maple Almond Butter grain free granola with carefully chosen ingredients. We mix a touch of natural sweetness from maple syrup with almond butter and coconut flakes to create a perfectly irresistible grain free delight.